When I was 15, I injured my back and my doctor told me I could never train again. 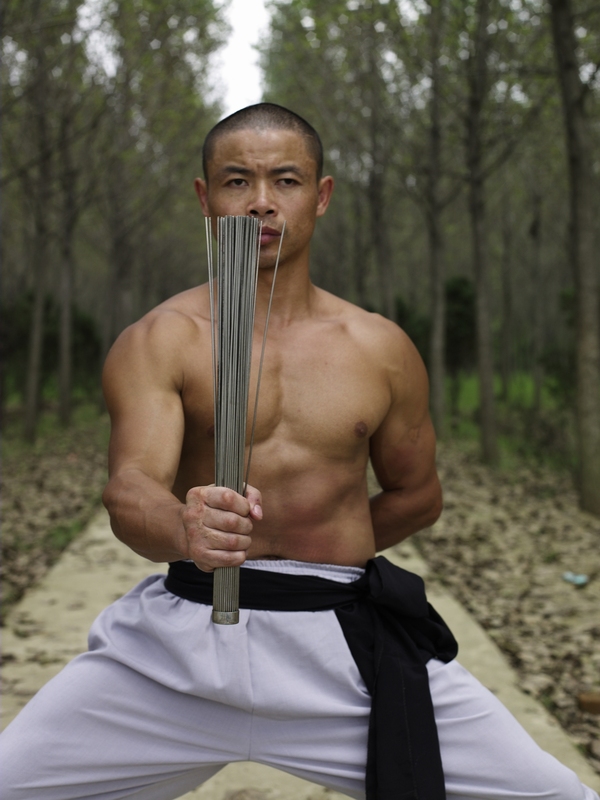 I loved Shaolin Kung Fu so much that I didn’t listen to him and – even though I was in considerable pain – I went back to the Shaolin Temple and continued with my training. Nearly thirty years later, I’m still in love with Shaolin and I’m still training. I generally workout 3 hours a day and I teach 4 – 6 hours per day. That training and teaching takes a lot of energy! The only reason I can sustain it is because of Qigong. Don’t tell anyone but Qigong is not my favorite workout. I much prefer Sanshou and Kung Fu. But I like the benefit and the feeling of calm afterwards. 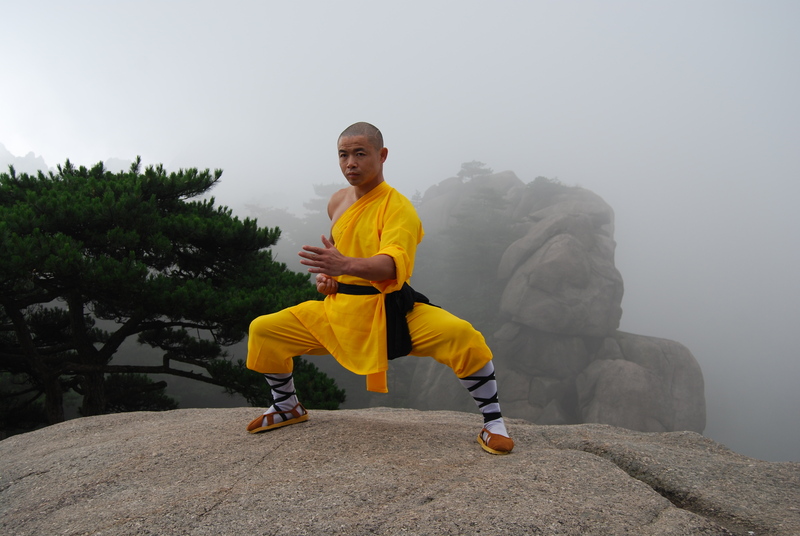 At the Shaolin Temple, the aim of Qigong is to make our body become its own doctor. But what does that actually mean? The body is constantly regulating itself. Ever tried to loose weight and found it hard? That’s because even our body fat – frustratingly for us – regulates itself. Eat less and our metabolism slows down to compensate. The aim of Qigong is to create a more harmonious regulation of the body. Stress – one of the major causes of illness and also belly fat through the production of cortisol – melts away, breathing is calmed, and the body’s automatic wisdom takes over. The 8 Treasures Qigong is possibly the most famous Qigong in the world. Once the Qigong moved out of the temple – like Chinese whispers – other variations were taught. I can’t testify to the effectiveness of these. The one that I refer to in this article is the original Shaolin Temple 8 Treasures Qigong. The founder of Zen, Bodhidharma (Damo) created this Qigong because the monks were suffering from the same problems we suffer from today. They were sitting for long periods of time and this was weakening their body. Of course, they weren’t sitting in offices in front of computers. They were sitting in temples in meditation in their quest to gain enlightenment. A Shaolin Monk took 8 of the most effective movements from the longer Qigong that Damo created for the Shaolin monks and called it The 8 Treasures. It’s also called 8 Brocades or Ba Buan Jin. Using my book and the DVD together means that you can see the movement and you can also read a break down of the movement so you can learn it effectively. I’ve had many students who trained with my book and DVD and then came to me for a private session to check it they’re practicing correctly. This gives me an opportunity to see if the book and DVD are an effective teaching method and I’m pleased to say they are because my student’s training is correct. It’s no different than following a recipe (my students tell me, I’ve never read a cookery book in my life). As long as you follow the instructions, you can learn from my book and DVD very effectively. The biggest challenge in learning from home is not whether you’re doing it correctly but staying motivated. Can you imagine not drinking coffee? Or brushing your teeth? Or taking your clothes off before you go to bed? This is because all of these things are a habit for you. Will power runs out but habit lasts a lifetime. The beauty of the 8 movements is that they can be broken down so if you only have 5 minutes then do 5 minutes. Do them at the same time and on the same day every week. Your body will crave your Qigong practice as if it’s the most delicious food you’ve ever tasted. Delicious food releases endorphins in our body – which is one of the reasons many people eat when they’re stressed. Qigong releases endorphins too! So next time you feel stressed, rather than reaching for that piece of chocolate cake – do Qigong! The Instant Health Massage is an integral part of the practice but if you don’t have time to do it after your Qigong practice, do it after your bath or shower either in the evening or the morning. It’s also great to do after your workout. Focus on the muscles that are tight and the parts of your body that feels tender. These are meridian blockages and you can massage them for longer. But how do you know if you’re doing the Qigong Workout correctly? Your face will look younger, your eyes will be brighter, your skin will glow, you will feel grounded and calmer throughout the day, your tipping point for stress will be much lower, and you will have more energy. If this isn’t happening then email me for advice. If you have a recurring or nagging injury, back ache, high blood pressure, pre-menstrual tension, menopausal problems, injuries, high and low blood pressure, the 8 Treasures Qigong may help. But how can it help with all of these numerous problems? Because it taps into the body’s automatic wisdom and realigns the body so it works at its optimal level. Please share this article and share your experience of Qigong in the comments below. And if you haven’t tried Qigong yet, then click here for your complete 8 Treasures Qigong package which includes everything you need to start your Qigong journey today. Most people realise health is the most important thing but how many people live by this belief? We usually make the excuse of having no time like a friend of mine who called to say he was unwell. I asked him to come and visit me so I could teach him Qigong, he told me he didn’t have time, I said to him, but when you are sick you will have time to go to hospital because you have no choice. The next day he came and studied with me for seven days. We need to start today. In order to help us stay on the path to health I have translated an extract from one of the Shaolin Classics. Written by a monk who was a great martial artist and scholar, here he gives advice to lay people as to how to stay young and healthy. 8)If you only do physical exercise all the time and you never do Qigong this makes you lose your balance and you will become impatient. You lose the Yin of your body. Exercise balances the Yin and the Yang. 9)If you never exercise, just peace, meditation, soft training, Qigong, then this doesn’t give you Yang energy so you use up your Yang energy. Subscribe to my newsletter and get your free e-book: Instant Zen: Your 7 Day Mind & Body Workout. I’ve been interested in the latest research done by scientists who want to discover how to slow the ageing process down. What they have discovered is that we all age at different rates. One of the ways in which they calculate what they call “ageing scores” is by testing how well the organs are functioning. Those with the highest score have the best organ function and are the least likely to die. This demonstrates how important our organs are. We notice ageing of our skin but we never think about our internal organs until something goes wrong. Shaolin Qigong is the only exercise I know that stretches and exercises the internal organs. Kung Fu doesn’t do this, yoga doesn’t do this, and meditation doesn’t do this. Aerobic exercise does use the heart but what about the kidneys, liver, gall bladder etc? Keeping our body strong internally is one of the keys to keeping our mind strong and living well into old age. It’s optimal to keep up a regular practice of at least three times a week. And finish with the Instant Health Massage. The Instant Health Massage is a way of sustaining the energy from our Qigong and clearing any blockages from the body. As we progress, we move onto massaging with the metal brush. The vibration from this brush is so deep that it cleanses the very marrow of our bones. Red blood cells are produced by bone marrow. It is believed that using the metal brush, cleanses the marrow and this creates new blood cells so that even our blood doesn’t age. I am in awe of the wisdom passed down from our Shaolin Ancestors. Their desire for a long life was so they could have more time to attain enlightenment. Their motivation was pure. They wanted nothing more than to help all beings find peace in their life. Each time we practice Shaolin Qigong, we connect with their wisdom and enter the path of peace and longevity. You can learn Shaolin Qigong and the Instant Health Massage from Shifu Yan Lei via his bestselling book (about to go into its 4th reprint) Instant Health: The Shaolin Qigong Workout For Longevity – also available on Amazon as a kindle.